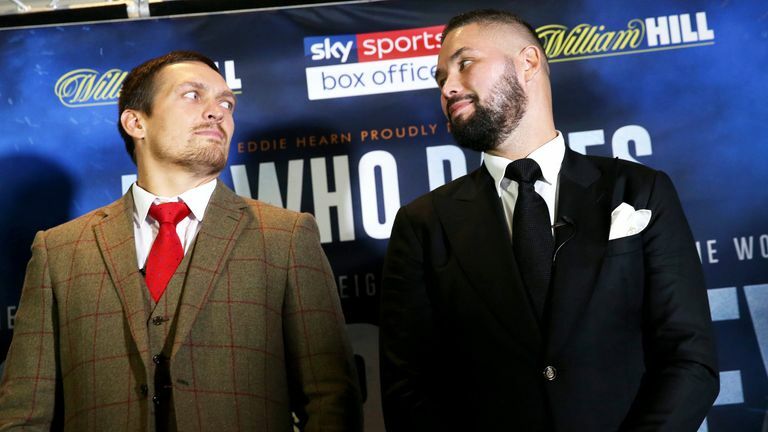 The 35-year-old has come down from heavyweight to challenge Usyk for all the world cruiserweight titles at Manchester Arena on November 10, live on Sky Sports Box Office. 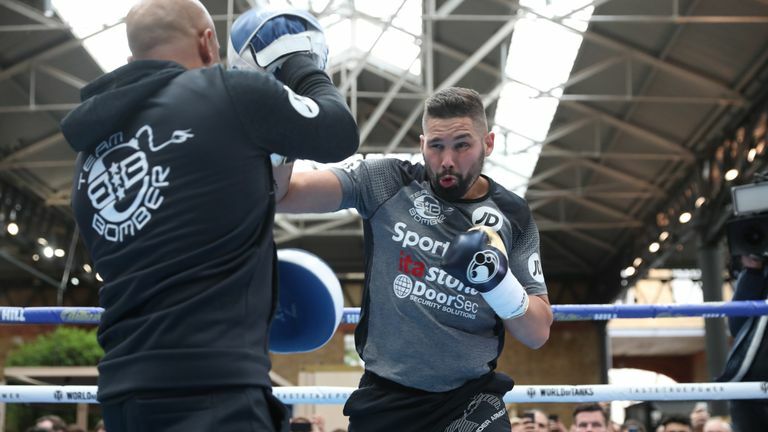 Under four weeks from the fight, Bellew has revealed he is seven or eight pounds away from the 14st 14lbs limit after an extensive weight cut, but is not concerned about his physical appearance on the scales. "When I take my top off on November 9, I think you will see how the 30 pounds have come off," Bellew told Sky Sports News. "Listen, forget about the weight, forget about dieting, this is all about a fight, this is all about becoming undisputed cruiserweight champion of the world. That's all that matters. "I don't care about the weight, I don't care about how good he is, how many stupid things he wants to say, that he's invisible in the ring. "None of that matters. All that matters is what happens on November 10. It doesn't matter if I turn up with loads of muscles, a six pack, and look beautiful. It doesn't matter. "All that matters is me going home with those four belts on November 10, and I'm going to do it." The Merseysider is used to exposing vulnerability in a daunting opponent, having completed two upset wins over Haye, although he admits the unbeaten Ukrainian is his most demanding challenge yet. "This is the toughest fight of my life, without a shadow of a doubt," said Bellew. "This is the most formidable opponent I have ever faced, and he is the man who everybody is scared of. He is the monster who everyone is running away from, and it's only a dope like me that can run right at him, and want a fight with him. "We'll soon found out, November 10. I'm not going to shock the world for the first time, not even the second time, it's going to be the third time."